The internet is a funny thing. We don’t really think about it, even though we use it every day. It’s only when it stops working and the site you’re trying to open won’t load, that you realize how important it truly is. That’s how health works, meaning when you’re young and fit, you don’t think about it at all but when something goes wrong, that’s when you realize how amazing it was when you were healthy and how crucial it is to have health insurance coverage. Most of us get put off by the confusing jargon that most insurance companies use on their sites and we just delay buying any policy. But no more. It’s time to double down and finally make sense of the seemingly confusing world of health insurance. We’ll talk about the most popular form of health insurance, indemnity-based health insurance plans, more commonly known as mediclaim policies. What Exactly is a Mediclaim Policy? Mediclaim is a health insurance policy that is designed to take care of healthcare expenses up to the sum assured, in case you face any sort of medical emergency, whether it’s an illness or an accident that has led to hospitalisation. There are two main types of mediclaim policies in India. Individual Mediclaim Policy – A single person is covered under this policy and the premium is based on the age of the person. The insured person can claim the entire sum insured, when needed. Family Floater Mediclaim Policy – This provides coverage for self, spouse, dependent children and in some policies even dependent parents. The premium for this type of policy is based upon the family member who has highest age. The entire policy sum can be used by the entire family or even by a single member. Hospitalisation is a harrowing enough experience, don’t make it worse by having to worrying about the hospital fees. There are endless benefits of getting a mediclaim policy. It’s a cost-effective way of getting the best healthcare, when you need it the most. It gives you peace of mind, knowing that you or your family won’t have to face any financial burden in the event of a sudden illness or accident that leads to hospitalisation. The cashless hospitalisation option means that you don’t have to pay for medical expenses upfront. The insurance company will pay for the treatments received at a network hospital. No out-of-pocket medical expense. Instead, the medical expenses will be paid for by the insurance company. Even though everyone goes through the terms and conditions of the policy, it helps to keep these things in mind before buying a policy. 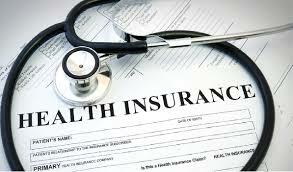 Health Care Coverage – Compare the kind of coverage being offered by the plan you are opting for with other plans. Make sure you opt for one with sufficient coverage for your needs. Co-Payment – A co-payment clause means the policy holder agrees to pay a part of the medical expense out of their pocket while the insurance company pays the rest. This can reduce the insurance premium of your mediclaim policy. Check if there’s a co-payment clause, and if there is, then what percentage you will have to pay. Treatment Specific Limits – Check if there are any limitations on any sort of treatment. Many insurance companies have limits on certain treatments. Maternity Cover – If you’re planning to have a child in the future, check if there’s any health cover for maternity and the kind of maternity benefits being offered by the policy. Network Hospitals – Check if the hospitals near your home are part of the insurance company’s list of hospitals. 0 Response to "Mediclaim Policies: Types Of Health Insurance And Steps To Claim It"